The three female leads are now 'sister-ships' - can anyone see rhyme or reason to this, or was it just so that their names all featured the same character? Does the bus run through here!? We're still trying to figure this out. I'm an A/S shipper and Soryu and Shikinami are one in the same. Asuka is a normal human with anger issues. Rei is a partial clone of a dead woman with the soul of a ancient super-being who has trouble expressing her feelings. Mari is a cybernetic alien monster who likes to kill for kicks. Sammaeloo wrote: Mari is a cybernetic alien monster who likes to kill for kicks. ^ Either she is some kind of monster, a FAR related creature, a modified Eva clone, or some kind of robot. She is definitely not a normal human being, if she's human at all. Seems more human than Rei. If I were Gendo, I'd make a Rei for when I get home. And I would program her to give the worlds best massages. My theory: They're all some sort of designed beings, 'clones' in the same non-identical fashion that the eva are clones. Rei is explained by her despair over her disposable nature. 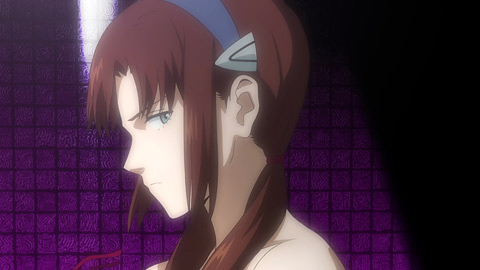 Asuka is driven as she is to prove that she is in fact a valuable individual. Mari sees her clone-hood as liberating, since it means she can evade just about any consequences that might result from her nuttiness. We don't know enough about Kaworu yet to judge. Shinji is the only one who doesn't know he's just one in a series... and probably on life #2 already (Ramiel probably did kill him with that first shot, hence the 'bacta tank' scene as they prepped a fresh body). I do tend to think there's some kind of meaning behind the naming of the pilot girls, as if they're part of a designed "series" - it could also tie in to their being considered like weapons of sorts by Nerv/SEELE...? In my mind, the first association that came up was probably one of tanks full of clones of each -nami girl... lots of Asuka's, Rei's and Mari's. Anyway. I counted 5 open coffins on the moon (including Kaworu). I realize there might be more that haven't been shown, but I guess supposing each coffin used to hold a Boy or a Girl in the series makes for as good a fanwank as any other? I got the entries in place before the movie came out. Yes, this weird name pattern certainly has been noticed, but what it's for is anyone's guess. Perhaps they're waves pounding on the ship Shinji's struggling to anchor? Ayanami was the first of her subclass, not of her class. Shikinami has an interesting oddity. She was the second ship in Ayanami's subclass, but completed a good six months before her, so she was effectively the first of the subclass rather than the second. Had Ayanami not been ordered first, all the Fubuki type-IIs would be "Shikinamis" and not "Ayanamis". Makinami, for whom Mari is named, was a Yugumo-class destroyer, and not a sister ship of the other two. UrsusArctos wrote: Ayanami was the first of her subclass, not of her class. The first, the fourth and the seventh. Great find. I also mentioned that as sub-hunters, their primary armament is in the form of Hedgehog anti-sub mortars. Perhaps Anno also chose these anti-sub ships in expressing his distaste for the new Soryu being a sub? 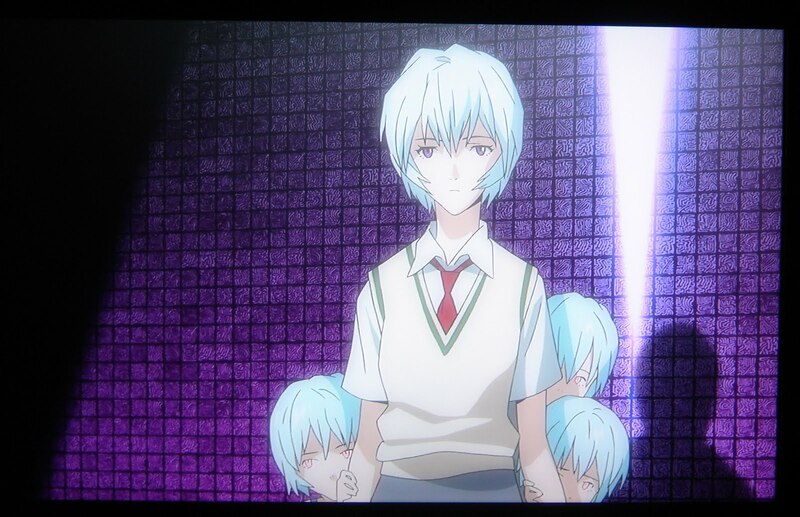 So what I can gather is that your saying that the girls are all clones, just not Rei. The horrible thing is since this is rebuild I truly can not give a positive yes or no on rather I believe this or not. I'm not buying the clone thing (with Mari and Asuka, Shinji too) until I get evidence in Rebuild itself. I freely admit it's mostly fanwank at this point, but after 2.0 you have to admit just about anything could happen here. @Nemz and @LiLi - I very much like the odds of a fully up front synthetic pilot trope. Nice call. I was trying to pick out the meaning of the character differences from the series, and if all of them are Newtype... (or rather, Fraternity), this would fit better so far. Since Anno will have to subvert it once you suspend your disbelief. The naming series should be a word game extension of the idea. Or just patriotic shout-outs to the current naval forces, as they enjoy even greater public image this decade. Supposedly, according Miyamura, their meaning is a "big secret" and will probably be revealed in Final (one would hope). But until then, speculation ahoy. If we're to take this to it's narrative equivalent, it would mean that Asuka was engineered in a similar fashion to Rei, probably with more tweaks. We're still trying to figure out what the hell they mean beyond being some type of seemingly musically-linked language related to the Angels. But it's a solid connection that seemingly cannot simply be ignored. I made this argument back in 2.0 days, and it's only bolstered by finding out that Yui's name was Ayanami as well. I say Shinji isn't human either, but was a naturally created hybrid rather than fully engineered like the girls. 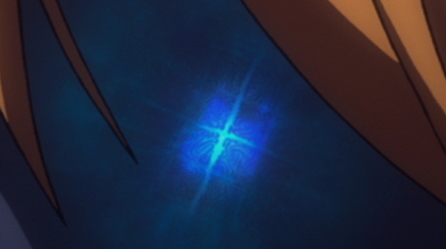 He's actually Shinji_3... the first being killed by Ramiel, the second being lost in 01 and basically re-embodied at the start of the latest film. Hence the BM03 on his foot.